To address this challenge, Uber’s Web Platform team built , an open source web framework that makes web development easier and produces lightweight, high-performing apps. While existing solutions addressed some of these challenges, we found that gluing a library on top of a framework often required changes to multiple unrelated files. For example, supporting Redux in a server-renderable app involves adding setup code somewhere in the server-related files, similar code somewhere in the browser ones, hydration code to the HTML template, a React Provider component, etc. Integrating an library or browser performance metrics library leads to the same problem. For more on the benefits of Fusion.js, check out our . The single entry point architecture enables Fusion.js plugins themselves to be universal, too, which allows plugin developers to co-locate snippets of code based on the library the code pertains to, as opposed to the environment the code runs in. Figure 1. 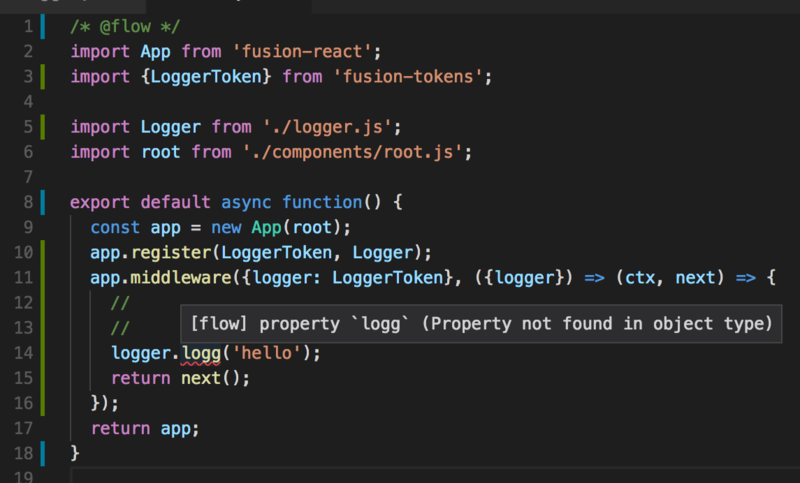 Fusion.js plugins encapsulate logic based on their logical grouping rather than based on where the code needs to be added. Ultimately, these qualities make it possible to install a library into an application with a single line of code, regardless of how many different integration points the library requires. Since plugins are easy to add and remove, it also becomes easy to reason about their coupling, impact on bundle size, and other code quality attributes when refactoring. They can also initialize browser code. As it turns out, the design decisions adopted by Koa complement the design decisions in Fusion.js very well. 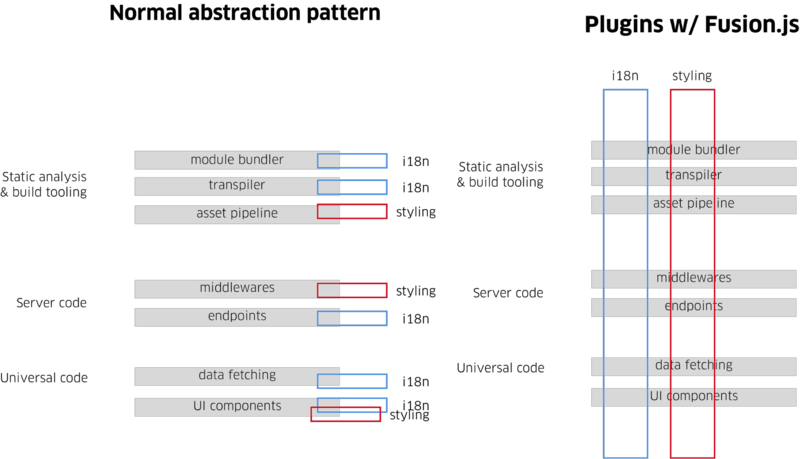 Koa middleware provides a logical integration point for React Provider components and the downstream/upstream abstraction aligns perfectly with the lifecycle of the React server-rendered context. Network side effects are decoupled from application logic, improving testability. The God object and order-of-operation issues that plagued our older apps are now resolved by the Fusion.js dependency injection and graph resolution mechanisms. Figure 3. Fusion.js core segregates network side effects from application state and leverages Koa and DI to achieve loose coupling between subsystems. 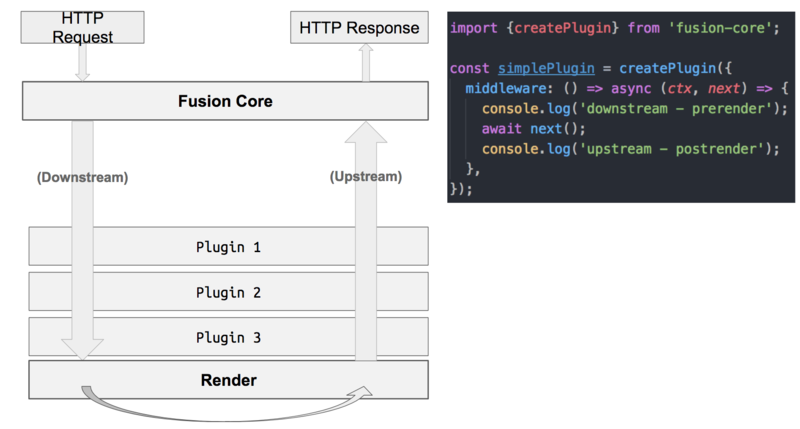 , , and , Fusion.js also provides tooling for developers to test plugins. The package allows mocking the server itself, making it possible to quickly run integration tests between any permutation of plugins and mocks. to keep up with the latest innovations from Uber Engineering.